The killings of over 2000 unarmed civilians in 2014 by Israeli forces in Gaza under the control of Israeli prime minister, Binyamin Netanyahu, are alleged to have been deliberate policy by a government intent on the illegal settlement of a half a million Israelis on occupied Palestinian land in an effort to abort the establishment of an independent state, in direct opposition to the will of the UN and the EU. This is a policy apparently condoned by the Conservative Friends of Israel lobby of which David Cameron is a member, as are the majority of his cabinet, notwithstanding the official British government stance that supports a two state solution. There is currently a petition on the House of Commons website that demands the arrest of Netanyahu should he try to visit the UK in September. This petition is now expected to reach 100,000 signatures within the next few days. However, notwithstanding the strength of feeling in the UK against Israeli brutality, Cameron has stunned British voters by proposing to ennoble the director of the British Israel lobby that condones the illegal settlements and the brutal killings by the IDF. This perverse decision would mean, if ratified, that effectively, an agent of the Israeli government in Tel Aviv would be sitting in the House of Lords, in London – in the second chamber of the British Parliament. That is a position that would be deemed anti-democratic at best and unacceptable to those who require our legislators to hold an unequivocal allegiance exclusively to the democratic institutions of the United Kingdom. The declared aim of the powerful Israel lobby in London, (CFI), is to influence British government foreign policy in the same way as its sister lobby in Washington, AIPAC, determines US government foreign policy – and that would be a triumph for the Likud Zionist movement of Mr Netanyahu but a disaster for democracy in Britain as it has been, and is, in America. 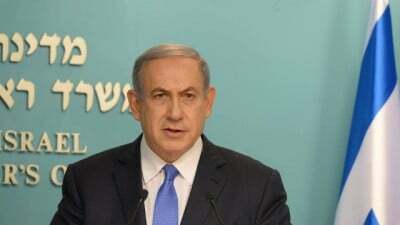 The State of Israel, lest it be forgotten, is not a member of the EU; is located in the Middle East not Europe; is not a member of NATO; is the world’s only undeclared nuclear weapons state; is not a party to the IAEA that supervises nuclear weapons worldwide; is not a signatory to the nuclear Non-Proliferation Treaty (NPT) and refuses to ratify the Chemical and Biological Weapons Treaties. To propose the appointment of someone who actively represents the interests of such a foreign state in the legislative assembly of the United Kingdom would not appear to be a sane decision. Otherwise, next month we could witness Mr Netanyahu – who is planning in a few weeks time to demand from a compliant U.S. Congress, in Washington, more billions of dollars plus a hundred or so more warplanes and a few thousand more cluster bombs (for defence purposes) – in Westminster, haranguing and threatening the House of Lords!